The future is growing brighter. 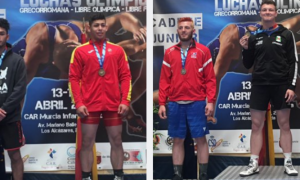 Led by four gold medal performances, the US Greco Roman Cadets marched to the team title at the 2016 Pan American Championships yesterday in Lima, Peru. 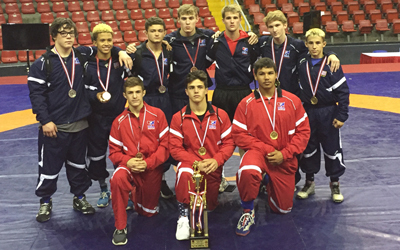 In all, the Americans sent ten wrestlers to the event with nine placewinners. 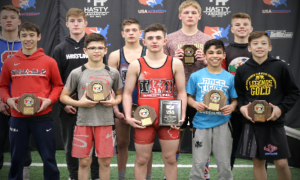 Coming away with tournament victories were Andrew Chambal (Michigan, 42 kg), Colin Valdiviez (Missouri, 54 kg), Calvin Germinaro (Minnesota, 63 kg) and Noah Adams (West Virginia, 100 kg). Team USA won the event with 88 points. Peru (72 points) finished second and Mexico came in third with 63. 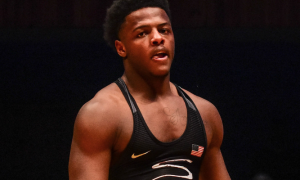 Chambal, who recently took second at the Cadet Nationals in Akron, entered into a five-man round robin he had little trouble navigating through. Three tech’s and pin rounded out his day and should propel him going forward. 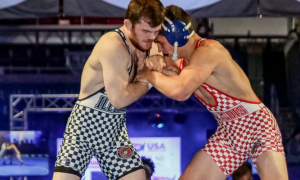 One athlete who has no trouble standing out in Greco is Germinaro. Germinaro’s confidence and ability to score keeps climbing as he progresses through the age-groups and has even turned some heads at the Junior level. 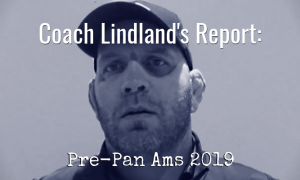 While he still has plans for the summer, the Pan Ams represented a chance for him to further demonstrate what he’s capable of against international opposition. He didn’t disappoint, going 3-0 with a couple of tech-falls en route to his championship run. Noah Adams only had three other competitors in his weight class but he made the most of it. 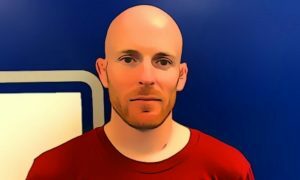 He tech’ed his first guy and then punctuated his time in Peru with another, blitzing to an 8-0 title-winning performance in the final against Mexico’s Paul Morales Bojorquez. Wisconsin’s Tyler Dow (69 kg) just missed out on the podium. Dow pinned Sandro Herrera (ARG), lost his next match, and then dropped a heartbreaker to Jose Nino (MEX) 9-8. 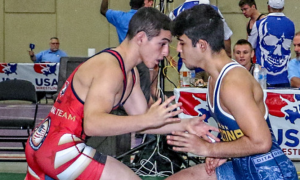 Like so many other Cadets, Dow is a two-style athlete but shows strong potential in Greco. 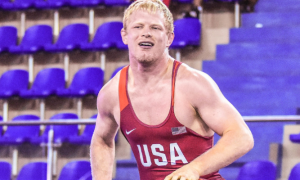 He took 6th at Fargo last year, 4th in Akron last month, and is a tough up-and-comer with a lot of ability.